Cleaning for Asset Protection | Extra Hands Services, Inc. When you look around at your office, what do you see? Everywhere you look, there are items that your business depends on. 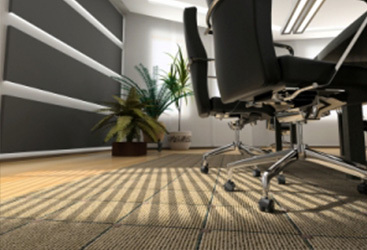 From the carpets you walk on to the chairs you and your clients sit on every day, you’re surrounded by assets that are necessary in order to maintain the appearance of your business. Asset protection and longevity isn’t always at the forefront of your mind as you’re going about your daily business, but regular cleaning will help protect your business’s assets longer–and that’s something that you should certainly consider. Cleaning extends the life of your furnishings. From your carpets and rugs to your upholstered chairs, cleaning your fabrics prevents the buildup of dust and other particles. When those particles are removed, you have fewer stains, less fading, and fabric that will last a great deal longer than fabric that is ignored until the stains become so set in that they can’t be removed at all. Cleaning improves the appearance of your furnishings. Think about how dark and dim a room appears when it hasn’t been cleaned. If you want to present a professional appearance, you need to treat your assets properly. Regular cleaning brightens your furnishings and improves the appearance significantly. Cleaning prevents stains from setting in. How often have you been forced to order a new piece of furniture because of stains or discolorations on the old one? Regular cleaning prevents the stains from setting in, so you’re able to keep using your investments longer. As a result, when you do need to buy new furniture, you can justify picking out pieces that are a little bit more expensive, but will last even longer. The bottom line is that investing in proper professional cleaning, by people who know which products and methods are appropriate for your needs, protects those assets that you have put time and money into preserving, and ensures their longevity. Looking for a cleaning company that will protect your assets? Contact us today to see what our company can do for you.